Get an instant quote for your Leeds taxi. 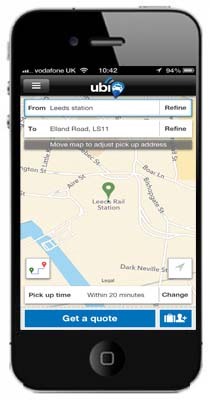 Book in a few clicks when you need taxis in or around the City of Leeds. Leeds is a West Yorkshire city built on the River Aire with a history dating back to the 5th century when most of its area was covered by the forest of Loidis. Leeds began a rapid expansion in the 17th and 18th centuries as it became a centre for the wool trade, and became bigger still with the advent of the Industrial Revolution. Now considered to be the third largest city in the U.K., Leeds is the central commercial, financial and cultural hub for the West Yorkshire area. Local residents of Leeds are known as ‘Loiners’ though the origins of this term remain obscure. Leeds is well connected to the rest of the U.K. by road and rail, with most trains calling at the station that shares its name. It is also a popular destination for sports fans, hosting national and international cricket, rugby union, rugby league and football matches. 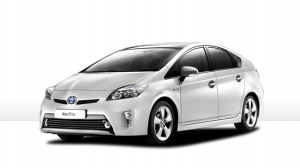 ubiCabs offers an excellent affordable minicab service in the Leeds area at very competitive fares. For example, an advanced booking can be as low as £5.50 from Leeds station to Headingley Carnegie Stadium. Get a free instant quote and book either online here or download our iPhone or Android app. Ever wanted a Leeds taxi and found your wallet somewhat sparsely populated? No more searching for cash points. We accept cash, card and account for payments. ubiCabs’ security is top notch too, we use 128 Bit 3D security for all our transactions. Book your taxi to the airport and pay with confidence however you like.